May 16, 2018 | Meagan Miller & filed under Special Events. 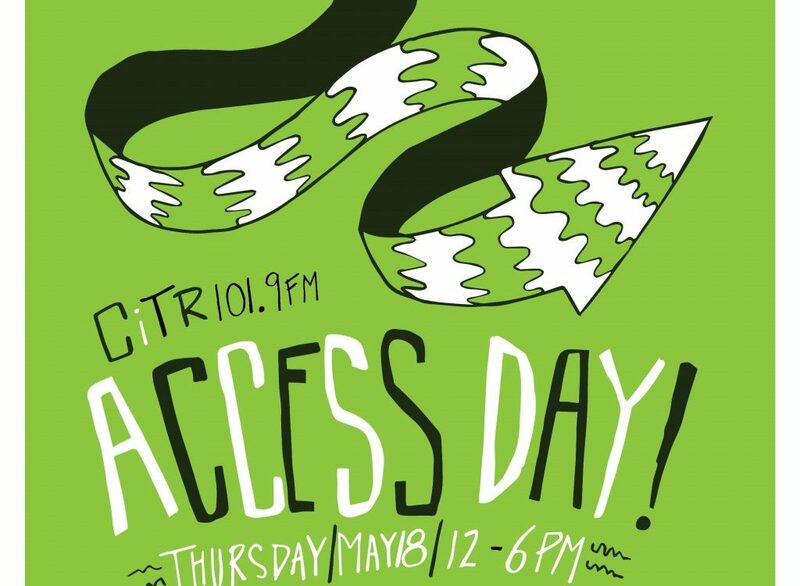 All day this May 17, listen in as CJSR joins a national marathon of accessibility-related programming, organized by our sister station CiTR. CiTR works to foster and sustain a safe and inclusive environment for our members, volunteers, guests and supporters. We reflect the UBC campus, the city, and the diversity of people from both communities, and honour an inclusive, healthy and dynamic society in which each person, regardless of background, experience or circumstance, is able to participate and benefit in varying capacities. Access Day programming features content that is about accessibility, self- advocacy, social accessibility, adaptive programming and more! You can find examples of past programming here.